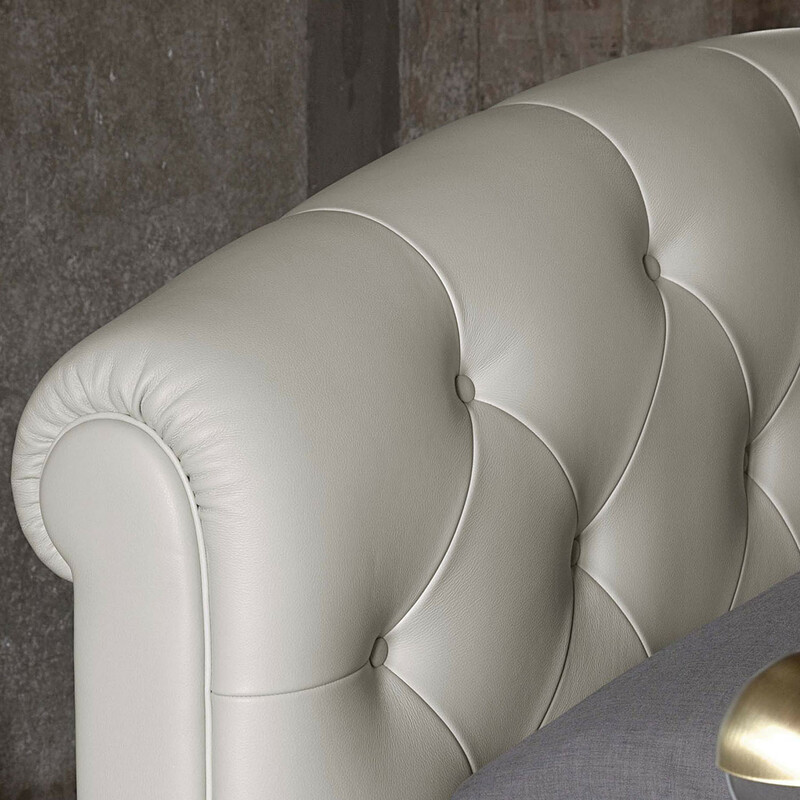 Rondò Sei Beds, by Italian designer Tito Agnoli, revisit the 1800s rounded headboard genre, featuring hand-crafted capitonné upholstery but retains its rigour and clean-cut composition, of a distinctly modern slant. 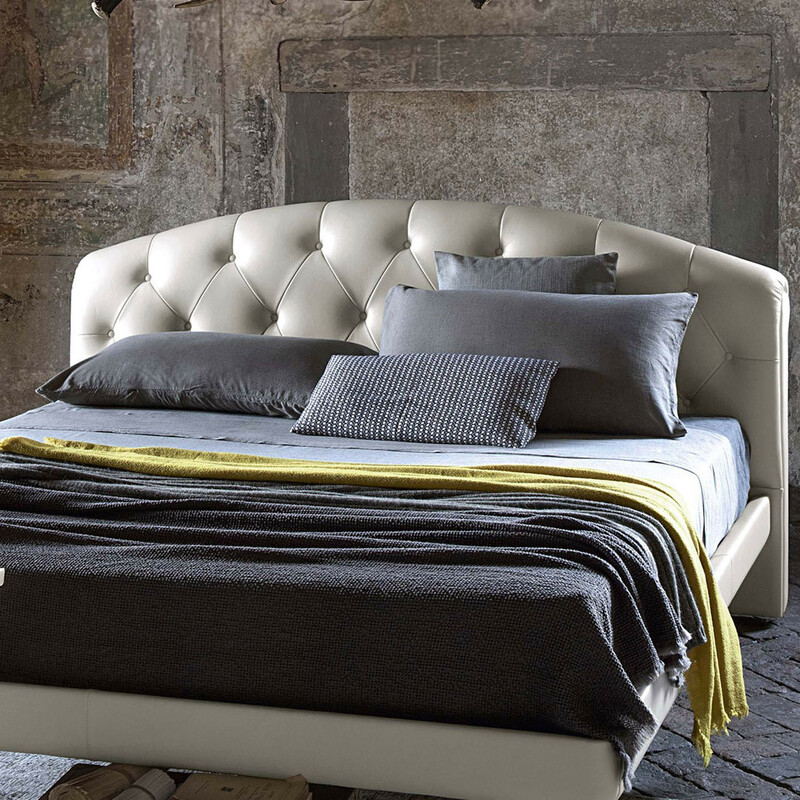 The multi-ply structure of Poltrona Frau Rondò Sei Beds is supported by a metal frame lightly padded in polyurethane foam. 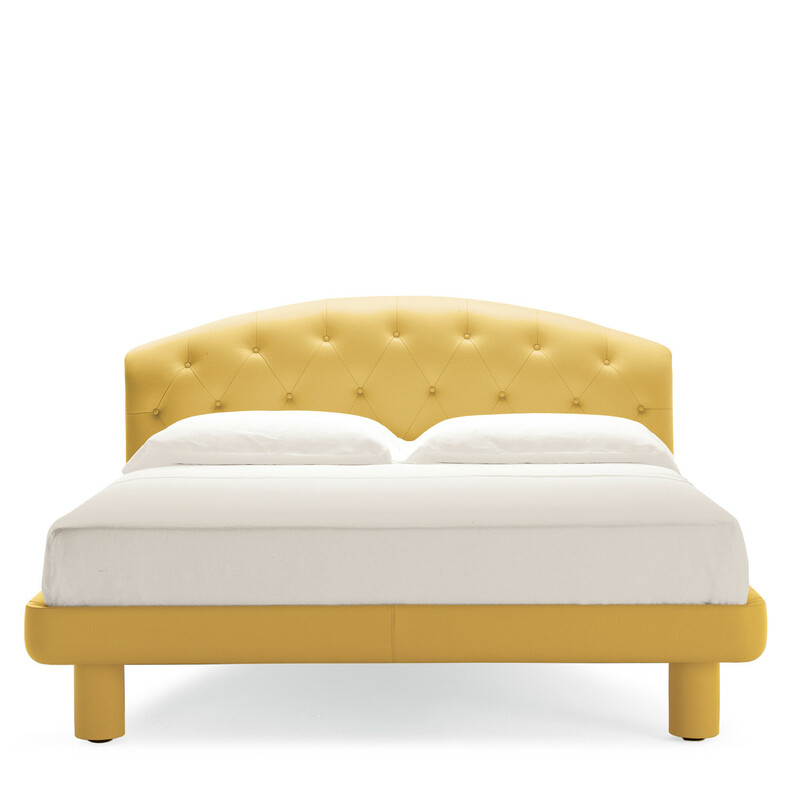 The beech wood headboard is padded in polyurethane foam and modelled with handcrafted leather. 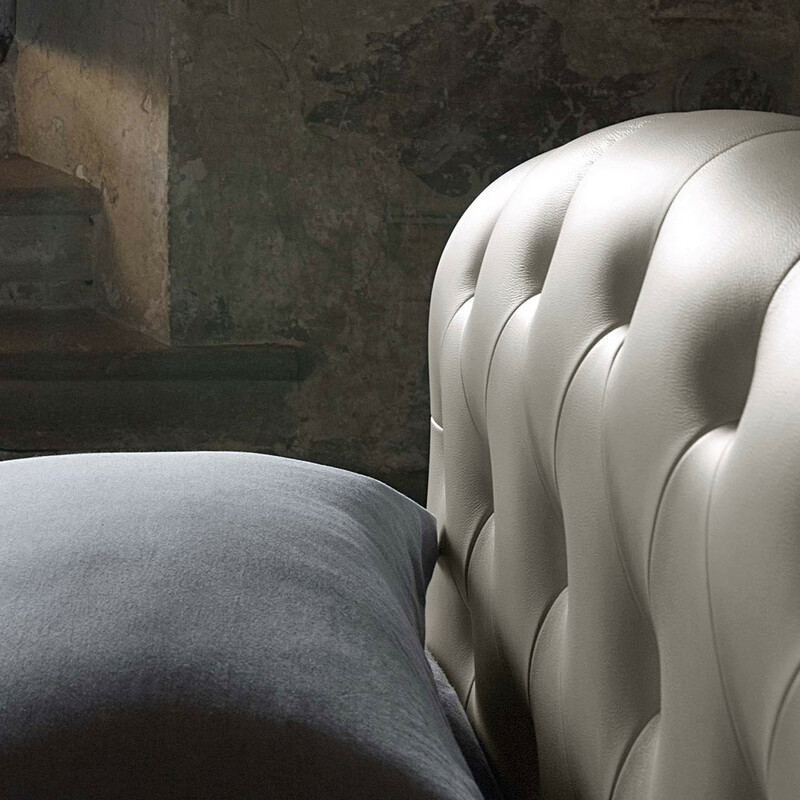 Upholstered in Pelle Frau leather from the Frau Colour System or Heritage leather. 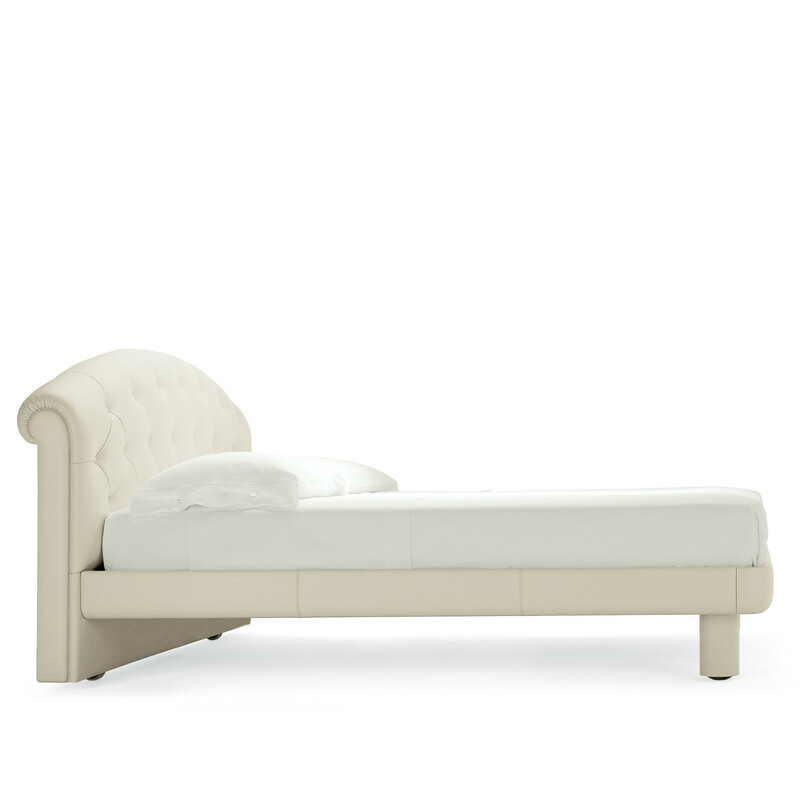 Rondò 6 is available as a large single or double bed version. 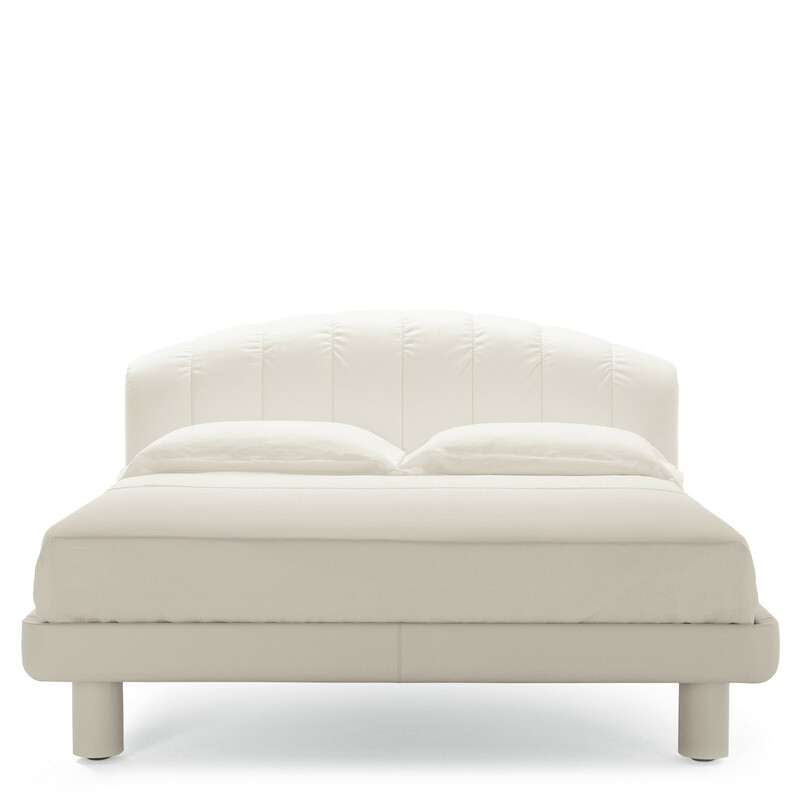 You are requesting a price for the "Rondò Sei Beds"
To create a new project and add "Rondò Sei Beds" to it please click the button below. 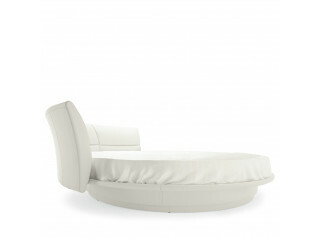 To add "Rondò Sei Beds" to an existing project please select below.